The Rheumatology Research Foundation’s Journey to Cure campaign was a huge success, raising $1.4 million over goal! 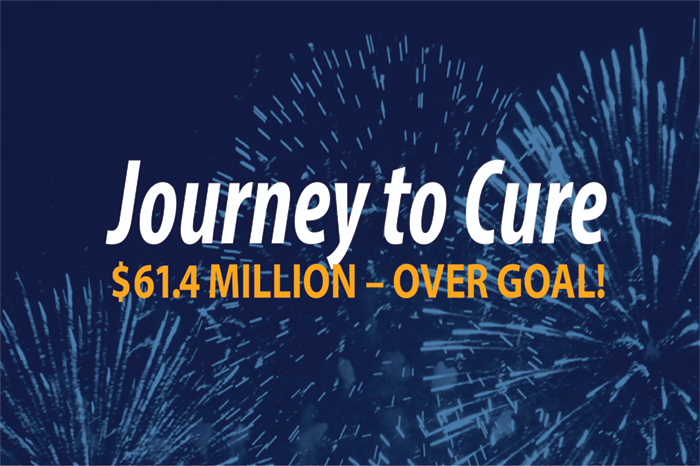 Journey to Cure was a five year fundraising campaign with a goal of raising $60 million to support the future of rheumatology with training opportunities and funding for innovative research. The campaign came to a close at the end of 2016 with a grand total of $61,430,466 raised. This monumental achievement would not have been possible without the support from the Foundation’s Corporate Roundtable donors and the 3,869 rheumatologists, rheumatology health professionals, and patients and family members who generously committed to the future of rheumatology. Journey to Cure was developed to support the Foundation’s mission to improve the health of people with rheumatic disease. Dollars earned during the campaign are committed to recruiting and training future rheumatologists, fostering the most innovative ideas in rheumatology and advancing research for all rheumatic diseases. Through funding from Journey to Cure, the Foundation has already given 909 rheumatology professionals awards, including: 197 education and training awards that build the rheumatology workforce, 102 career development awards that encourage investigators to study rheumatic diseases, and 523 student awards that recruit and train tomorrow’s rheumatology professionals. 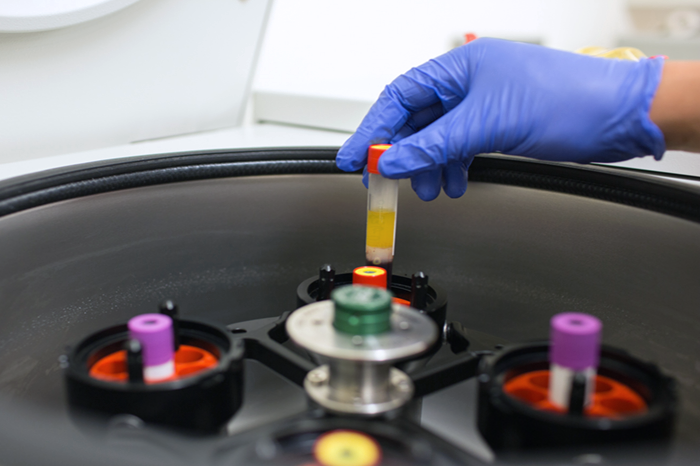 Journey to Cure also funded 87 Innovative Research Awards , the Foundation’s largest award. The Innovative Research Award was recently restructured to incorporate funding for investigators studying all rheumatic diseases, including health services research. “There is still more work to be done, but there is no doubt that Journey to Cure has made a profound impact on treatments and cures for generations to come,” says Eric L. Matteson, MD, MPH, President of the Foundation. Journey to Cure will continue to drive Foundation efforts to address needs in the workforce and accelerate the discoveries that will lead to a cure. To learn more about Journey to Cure and the work it funds, click here. Joint inflammation and pain are among the most commonly recognized symptoms of rheumatic disease. This inflammation can affect the joints themselves, as well as the tissue and ligaments that surround it, putting the body at risk of permanent damage. Current research efforts aim to identify a key mechanism in tissue changes, with hopes of preventing injury. 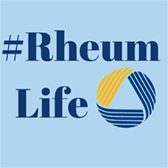 “My first symptom of rheumatic disease was a bump on my right hand. 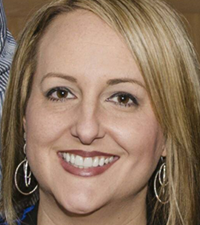 It turned out to be a synovial cyst and led to my diagnosis.” Heather Walker’s synovial cyst is a lesser known symptom, though it points to the surrounding tissue damage frequently associated with rheumatoid arthritis (RA) and other diseases. Joint damage and synovial inflammation in RA are influenced by genetic and environmental factors. Epigenetics, which modifies DNA, is one of the key regulators of gene expression. Epigenetics offers new ways to think about environmental and stress exposure in inflamed tissue. One particular mechanism in epigenetics, known as methylation, can repress gene expression and change cell behavior. 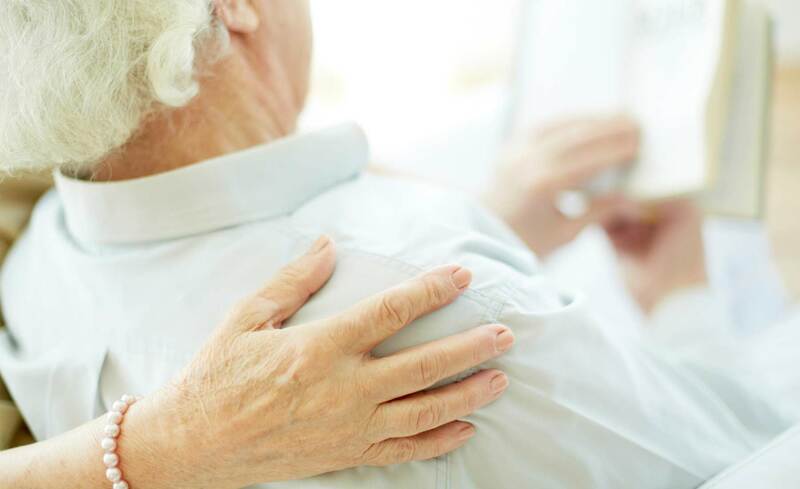 For RA fibroblast-like synoviocytes (FLS), a specialized cell in RA present in connective tissue, changes in the gene through methylation can be permanent. 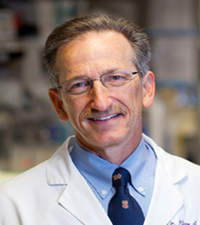 Using multiple datasets for RA FLS, Gary S. Firestein, MD of the University of California, San Diego discovered that a candidate gene, known as LBH, is connected to the onset and development of RA. By studying the functions of LBH, Dr. Firestein could define mechanisms behind joint damage and synovial inflammation in RA.